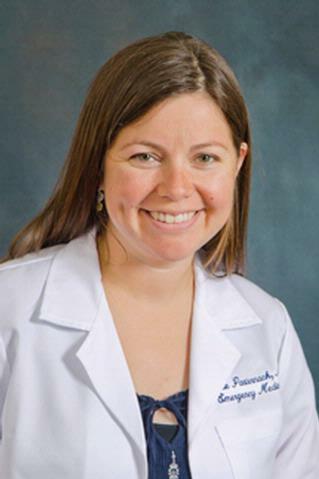 Dr. Julie Pasternack is a Senior Instructor at University of Rochester Medical Center in the Department of Emergency Medicine. She graduated from Brown University in 2003 with a bachelor degree in Science, and she is a graduate of the University of Rochester Medical School. She completed her residency at URMC in Emergency Medicine in 2011 where she served as chief resident her final year. She then pursued a fellowship in Pediatric Medicine at the University of Rochester. During her fellowship, she also completed a Masters program in Science for Medical Education. Abar B, Dylla L, Sergeant M, Pasternack J, Adler D. "Assessing adherence with preventive screening recommendations among ED patients: Piloting an effective use of wait time." The American journal of emergency medicine.. 2018 Jun 0; 36(6):1105-1106. Epub 2017 Sep 29. Pasternack JR, Dadiz R, McBeth R, Gerard JM, Scherzer D, Tiyyagura G, Zaveri P, Chang TP, Auerbach M, Kessler D. "Qualitative Study Exploring Implementation of a Point-of-Care Competency-Based Lumbar Puncture Program Across Institutions." Academic pediatrics.. 2016 16(7):621-9. Epub 2016 May 03. Pasternack, JR.; Dadiz, R.; McBeth, R.; Gerard, J.; Scherzer, D.; Tiyyagura, G.; Zaveri, P.; Chang, T.; Auerbach, M.; Kessler, D. "Working through barriers to simulation-based just-in-time training and competency assessments for infant lumbar punctures." Simul Healthcare. 2013; 8(6).